Looking Spooky in Time for Halloween! - CTS Wholesale LLC. Looking Spooky in Time for Halloween! If you're planning on making the most of the Halloween season by increasing sales, then CTS has you covered! We have a wide selection of Halloween themed items that are perfect for the ghouls and goblins that come out for this much-anticipated holiday! 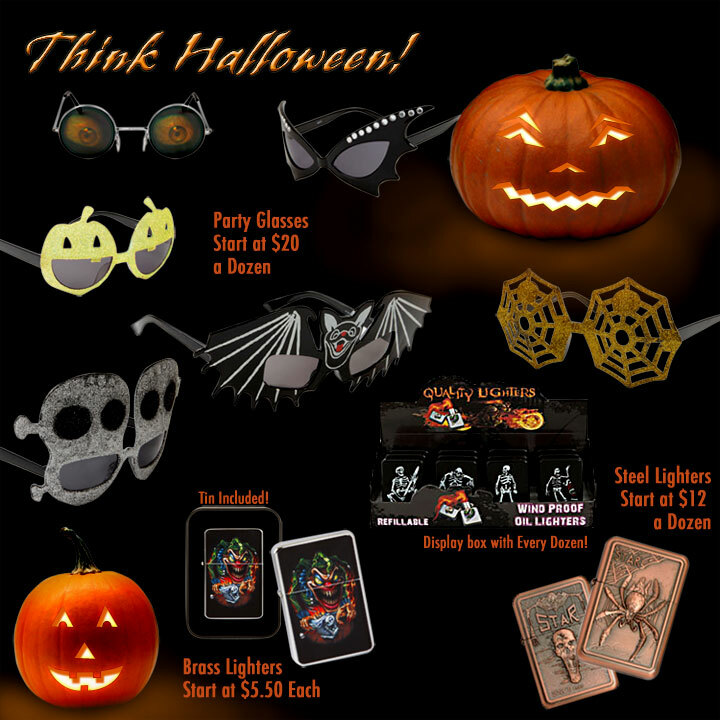 Or if you're looking for fun party favors for this year's Halloween party, there are many styles of party glasses that would make a great give-away. There are several party glasses that might just be the finishing touch to a great costume too. If you're planning on going as the King of Rock and Roll, the Elvis party glasses are right up your alley. Listed below are just a few of the spooky and scary products that will sell well during the month of October. Be sure to order in time to make the most of this Halloween. 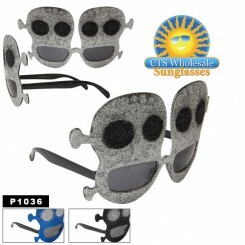 Skulls Flashing Sunglasses P1055: These are a very fun Skull shaped assortment of flashing party glasses. Flashing glasses come with batteries and have 3 speed settings. Red, blue, green and clear frame colors. 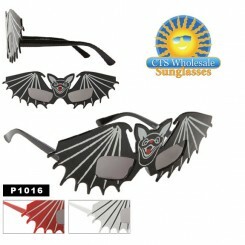 Bats Party Glasses P1016: This set of Party glasses come in red, white and black; all in the shape of a bat, including a graphic illustration highlighting the wings and face. 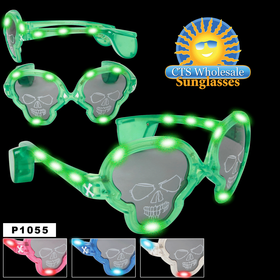 Jack-O-Lantern Party Glasses P1021: Much like the Frankenstein style, these are Jack-O-Lanterns covered in an assortment of colors including pink, purple, yellow, silver and green. 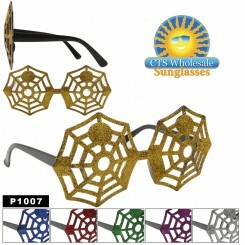 Spider Web Party Glasses P1007: Another fun glitter style of party glasses, these are spider web shaped, and come in red, blue, green, silver, gold and purple. In addition to eyewear, CTS also has several collections of oil lighters that are fit for the spine-chilling season as well. 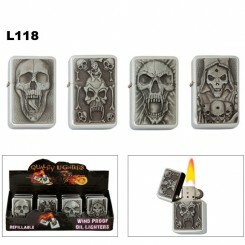 Shown below are just a few of the Steel Oil Lighters that will undoubtedly sell well. 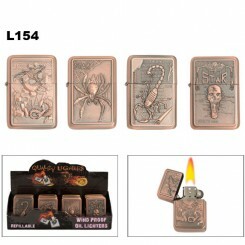 From the new line of Brass Oil Lighters, you'll find more frightening lighters too. Brass Oil Lighters are sold individually and are made of solid brass, making these a superior quality lighter. 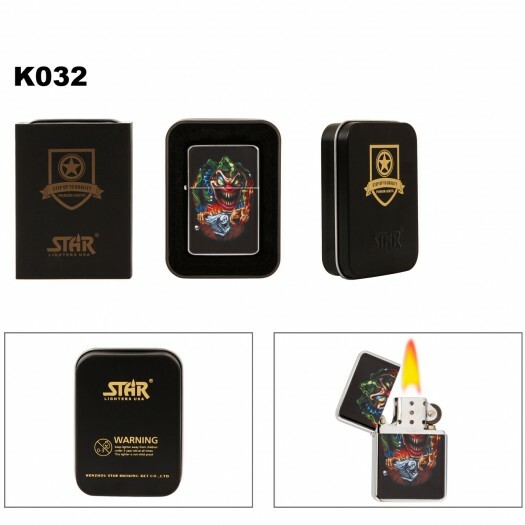 Every brass lighter will come in an individual lighter tin. 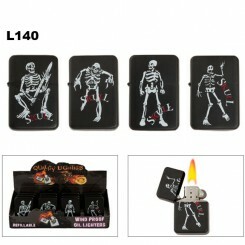 You can find a full selection of Halloween items here.